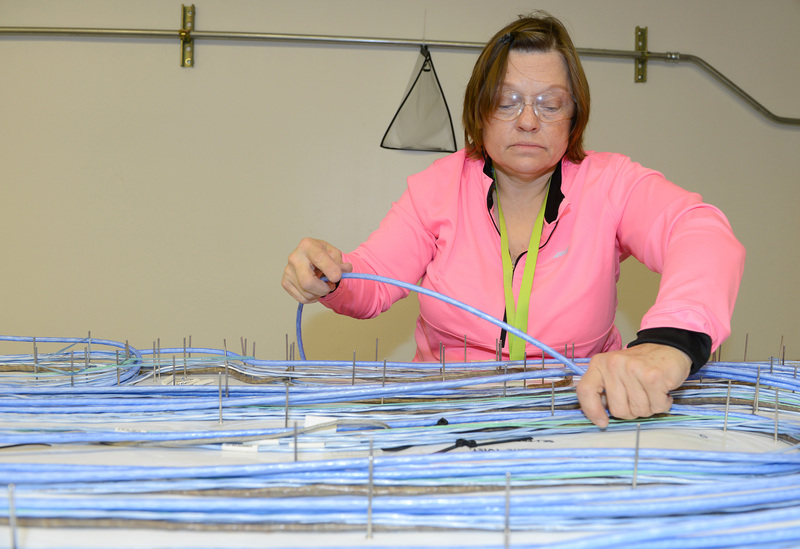 Top wire and cable manufacturers in the U.S.
IndustryNet’s most recent industry analysis of U.S. wire and cable manufacturers found the sector is currently growing, adding 3.3% to its workforce over the past year and increasing sales by 1%. Today, IndustryNet takes a look at some of the top wire and cable manufacturers in the U.S., analyzing industry leaders based on employment, employment growth, plant square footage, and sales growth. The wire and cable sector reports a slightly higher jobs growth at 5 percent than manufacturing as a whole at 4 percent. As a corollary, it also reports a slightly lower percentage of companies reporting a decrease in employment at 3 percent than manufacturing as a whole at 4 percent. Finally, the wire and cable sector reports considerably higher reliance on international distribution than manufacturing in general. Approximately 41 percent of wire and cable companies distribute their product internationally compared to only 29 percent of all manufacturers. Regionally, the East North Central portion of the United States (Illinois, Indiana, Michigan, Ohio, and Wisconsin) contains the majority of wire and cable manufacturers at 398 companies, or 31 percent of all wire manufacturers nationwide. All of the remaining regions trail far behind this figure. 1. TE Connectivity, Raychem Division; Menlo Park, California; 1,500 employees. Founded 60 years ago, TE Connectivity, Raychem Division is best known for the quality of its products and the ability of those products to perform in extreme environments and conditions. 2. Encore Wire Corp.; McKinney, Texas; 1,300 employees. Proving that a superior product can be environmentally friendly, Encore Wire has a goal of becoming a zero landfill manufacturer by the end of 2018. 3. Keystone Consolidated Industries, Inc.; Peoria, Illinois; 900 employees. Keystone Consolidated is one of only a handful of wire manufacturers that is 100 percent American made, providing a consistently high quality and diverse selection to its customers. high-quality wires, cables, and other products for the medical sector. 5. ARRIS Group, Inc.; Horsham, Pennsylvania; 700 employees. Creator of the first wireless broadband gateway, the ARRIS Group continues to improve upon its product line to meet the ever-changing needs of its customers. 6. Carlisle Interconnect Technologies; St. Augustine, Florida; 550 employees. Working with companies in the aerospace, military, space, test and measurement, industrial, and medical technology sectors, Carlisle Interconnect designs and builds business interconnectivity solutions. 7. Southwire Coleman Cable; Bremen, Indiana; 500 employees. Offering a broad range of innovative solutions and recognized brands has kept Southwire Coleman Cable an international leader in the wire manufacturing sector. 8. Windsor Machine & Stamping Ltd.; Taylor, Michigan; 500 employees. Windsor Machine & Stamping manufactures and designs custom head restraints and arm rests for the automotive industry. 9. Wire Design, Inc.; Elkhart, Indiana; 465 employees. Increased automation ensures the precision Wire Design, Inc. requires to provide quality wire harnesses to its customers. 10. Southwire Co., Building Wire Plt. ; Carrollton, Georgia; 450 employees. Southwire Co., Building Wire Plt. manufactures electricity transmission wire. One in three homes built in the United States utilizes Southwire's products. 1. ARRIS Group, Inc.; Horsham, Pennsylvania; 700 employees on site. The ARRIS Group focuses on delivering wireless technology internationally, transforming the entertainment and communications industries. 2. Wire Design, Inc.; Elkhart, Indiana; 465 employees on site. Wire Design is capable of color printing on its wire for identification purposes and can either solder or sonic weld harnesses. 4. Kiswire Pine Bluff, Inc.; Pine Bluff, Arkansas; 320 employees on site. Kiswire Pine Bluff opened in 2014 producing steel tire cord and tire corded fabric. 5. BAE Systems, Inc.; Fort Walton Beach, Florida; 250 employees on site. BAE Systems develops advanced technologies for the commercial and military electronics markets. 1. Anixter Wire & Cable; Lenexa, Kansas; 10 million square feet. Anixter Wire & Cable creates network & security solutions, electrical and electronic solutions, and utility power solutions for critical infrastructures. steel reinforcement bar and welded wire reinforcement. 3. Encore Wire Corp.; McKinney, Texas; 2,100,000 square feet. Encore Wire began production in 1989 with only 68,000 square feet for its manufacturing enterprise. It has since expanded to over 2 million square feet to meet the growing needs of its customers. 4. International Wire Group, Inc.; Camden, New York; 1.5 million square feet. International Wire Group is the largest bare copper wire and copper wire products manufacturer in the United States. 5. 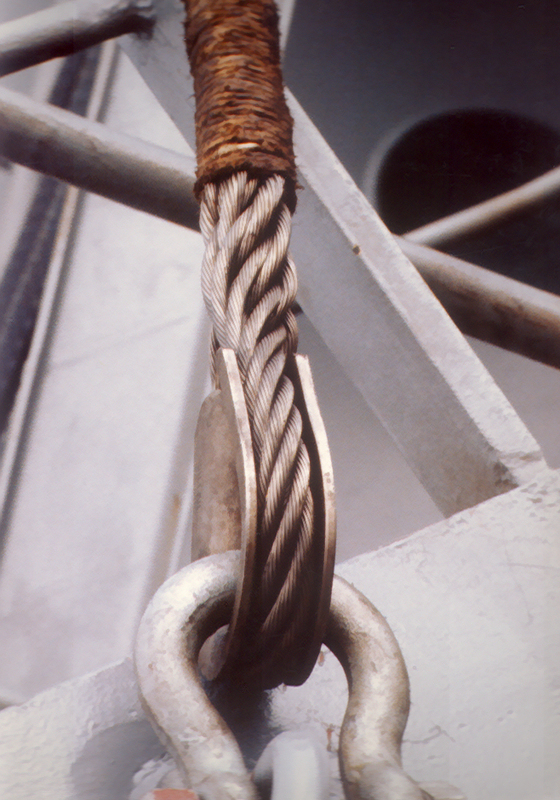 Nashville Wire Products Mfg. Co.; Nashville, Tennessee; 1 million square feet. Starting as a tool and die shop in the 1920s, Nashville Wire Products in now an international leader in wire mesh welding, electroplating, CNC (computer numerically controlled) wire forming, and a variety of related services. Works underpins infrastructure, from roads to entertainment complexes, primarily utilizing its signature Bethlehem brand wire rope. 8. Bridgestone Metalpha U.S.A., Inc.; Clarksville, Tennessee; 690,000 square feet. Founded as Bridgestone Tire in 1931, Bridgestone Metalpha has expanded to become a diversified company including conveyor belts, hydraulic hose, golf equipment, and a variety of other products. 9. International Wire Group, Inc.; Williamstown, New York; 650,000 square feet. From bare wire to cordage, International Wire Group serves customers primarily in the industrial and energy, electronics and data communications, medical, appliance, and other sectors. 10. Bekaert Corp.; Van Buren, Arkansas; 600,000 square feet. Primarily known for steel cord products for tire reinforcement, Bekaert also manufactures a variety of advanced steel wire products throughout a number of industry sectors. 1. Riverdale Mills Corp.; Northbridge, Massachusetts. Riverdale Mills produces high quality engineered welded wire mesh fabrics in the United States for worldwide distribution. 2. Absolute Quality Mfg., Inc.; Minneapolis, Minnesota. Absolute Quality creates custom cable assemblies, electro-mechanical assemblies, wire harnesses, turnkey panel, and box builds for markets as diverse as military, medical, and agriculture. 3. Daitron, Inc.; Lincoln, Nebraska. Founded in 1986, Daitron creates custom cable and provides value-added cable assemblies for a variety of heavy industries. 4. Custom Interface, Inc.; Bingen, Washington. Since 1997, Custom Interface has worked with its clients to develop prototypes and manufacture solutions that meet their cable, wire, and electro-mechanical needs. 5. Paige Electric Co., L.P.; Union, New Jersey. Founded in 1948, Paige Electric is an employee-owned wire, cable, and accessory company serving most major market spaces from power wire and cable to high-seed data solutions. To learn more about these top wire and cable manufacturing companies, as well as thousands of other United States companies, please visit IndustryNet. IndustryNet is a one-stop resource for all of your industrial supply needs, providing information on 400,000 United States manufacturers as well as suppliers of 10,000+ industrial products and services. To connect with wire and cable manufacturing companies near you, start your free search on IndustryNet.Here, you can request a quote, contact a company directly, connect on social media, obtain a list of industrial suppliers in your area and more. Related Companies: Absolute Quality Mfg., Inc., Anixter Wire & Cable, ARRIS Group, Inc., BAE Systems Technology Solutions & Services, Bekaert Corp., Bridgestone Metalpha U. S. A., Inc., Carlisle Interconnect Technologies, Custom Interface, Inc., Daitron, Inc., Encore Wire , Fort Wayne Metals Research Products Corp, General Cable Corp., International Wire Group, Inc., International Wire Group, Inc., Keystone Consolidated Industries, Inc., Kiswire Pine Bluff, Inc., Nashville Wire Products Mfg. Co., New England Wire Technologies Corp., Paige Electric Co., L.P., Riverdale Mills Corp., Southwire Co., Building Wire Plt., Southwire Coleman Cable, TE Connectivity, Raychem Div., Windsor Machine & Stamping Ltd., Wire Design, Wirerope Works, Inc.